The Iolas Blue is the largest European blue species and equally one of the rarest. 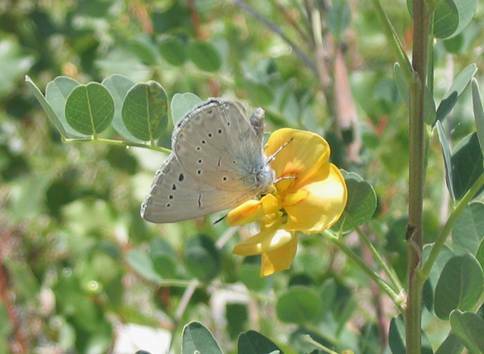 The females lay their eggs exclusively on bladder senna (Colutea arborescens), a vetch like bush which grows in very hot, south facing and rather rocky situations. The male butterfly in the photograph above seemed only interested in nectaring on the few remaining yellow flowers of this plant. In between bouts of nectaring he would fly away remarkably quickly and powerfully and disappear from view. 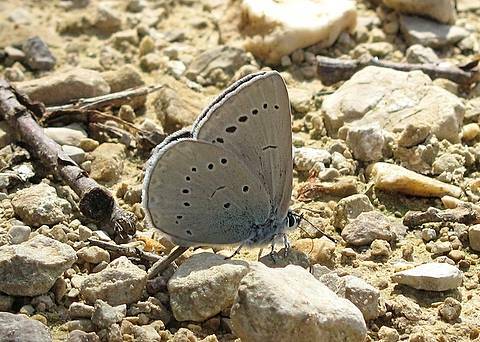 Reputedly, it is typical to encounter a very small number of butterflies at any given site over a period of time so much patient observation may be needed before the butterfly is seen. 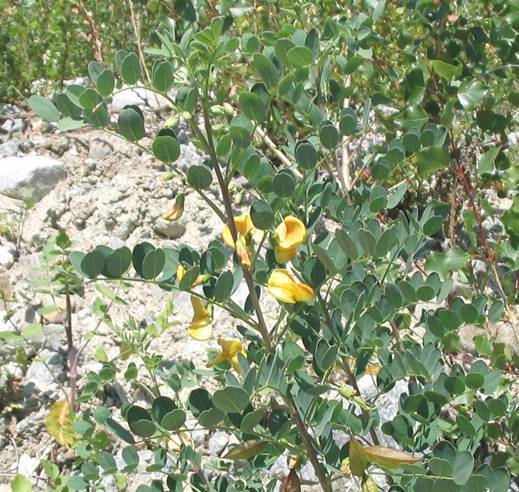 The best way to search for this species is to look for the bladder senna bushes. 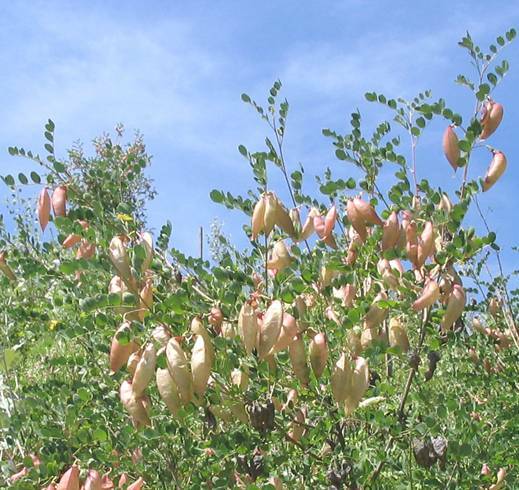 They are very conspicuous from the large seed pods or 'bladders' (see photograph below) which hang from the branches. Any time of the year is good for locating the plant as some of the previous years seed pods hang on to accompany the new generation the following year, so some pods are always visible. The green seeds on which the larvae feed can be seen through the semi-transparent pods. 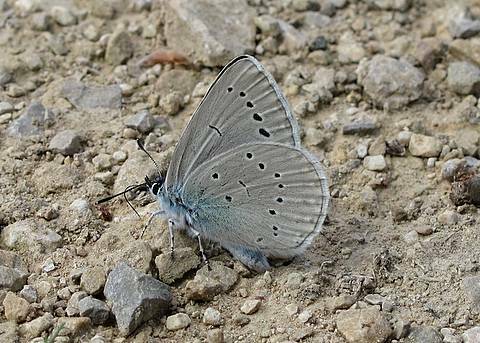 I've not seen the upperside of the butterfly but the underside is a rather plain 'off cream' colour and is characterised by a very slim black streak at the cell end of all wings. Seed pods on a mature bush. The previous years pods can be seen shrivelled and brown in the background. Yellow flowers on a young shoot.